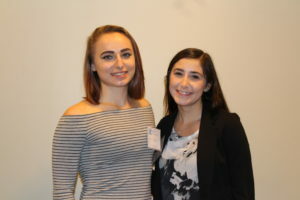 On Friday morning in the Enyon Ballroom of the Chamberlain Student Center, students from several universities in New Jersey came together to discuss a pressing topic. 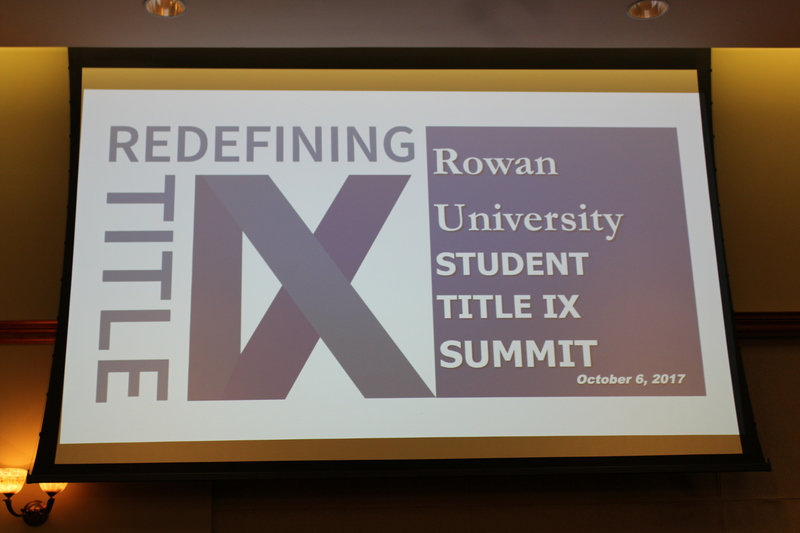 Organized by students at Rowan, the Redefining Title IX Student Summit was meant to provide a platform for people to come together and discuss issues regarding title IX. Title IX has been in the news recently, as current Secretary of Education Betsy DeVos has announced plans to review certain aspects of the law, including areas related to sexual assault on campus. Senior psychology major Kayla Raparelli was one of the co-chairs for the event. She put on the event with her co-chair, junior health and exercise science major Al Pelose, and the help of the planning committee. And for Raparelli, it was exciting to see her hard work and planning pay off. The event started with a welcome, and a keynote speech from Dr. Nadine Sullivan, a professor of sociology and gender studies at Rowan University. 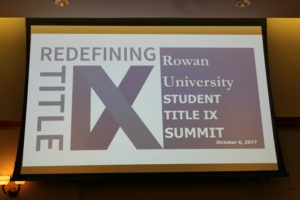 After the keynote address, a quick powerpoint presentation was given, outlining frequently asked questions and common information about Title IX. The assembled attendees then split up into breakout sessions, housed in rooms 221, 129 and 127 of the Student Center. There were three separate timeslots in each room, running from 10:15 a.m . -2 p.m. 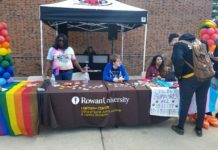 The topics ranged in scope from Rowan Greek Life and Title IX to Breaking the Stigma of Male Sexual Assault. Gary Baker, the new assistant director of Greek Affairs on campus, led one of the breakout sessions about curbing sexually abusive behavior in sports, as well as other areas of life. Baker is passionate about the subject, and said this was a perfect chance to educate others. 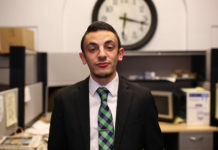 Gardy Guiteau, the director of the Rowan Office of Social Justice, Inclusion and Conflict Resolution was another one of the breakout session presenters. He summed up how happy he was to see this event come to fruition, saying he doesn’t hear about events like this happen elsewhere.